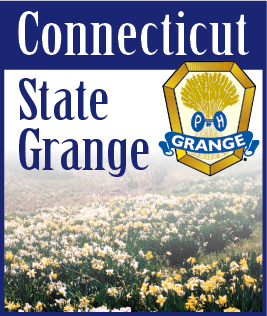 It is early February as I draft an update for the March edition of the Granger. For the first time since New Year’s weekend the thermostat has crept up to 40 degrees. I have just come in from chipping ice for the last hour or two. My shoulder is sore and I’ve got the start of a blister on my hand. I’m sure many of you can relate. Despite the hard work it was nice to stand back and see the surface of our driveway and sidewalk for the first time in quite a while. Hard work can definitely be rewarding. It got me thinking that recruiting new members can be perceived as hard work. It often requires diligence and a little extra effort. But when a prospect decides to join the Grange it can be really rewarding. Sometimes the best things in life are those that don’t come easy. We should all commit to working hard in bringing new members into the Grange. The reward will e worth the effort! Maybe it’s a stretch, but I’m hopeful that when I sit down in early March to write for the April Granger, I’ll be able to see our grass!